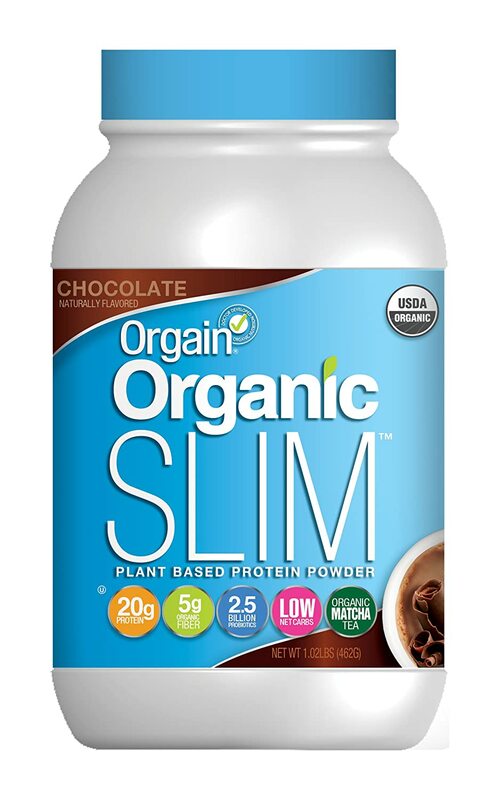 Orgain’s Organic Plant Based Protein Powder isn’t just a nutritious and tasty protein mix, but also an overall superfood shake that is the healthiest option for anyone concerned with their health and fitness. However, is it also the best organic plant based protein powder? Many of the vegan and vegetarian protein powders on the market don’t mix very well when blended, and they don’t taste very good. 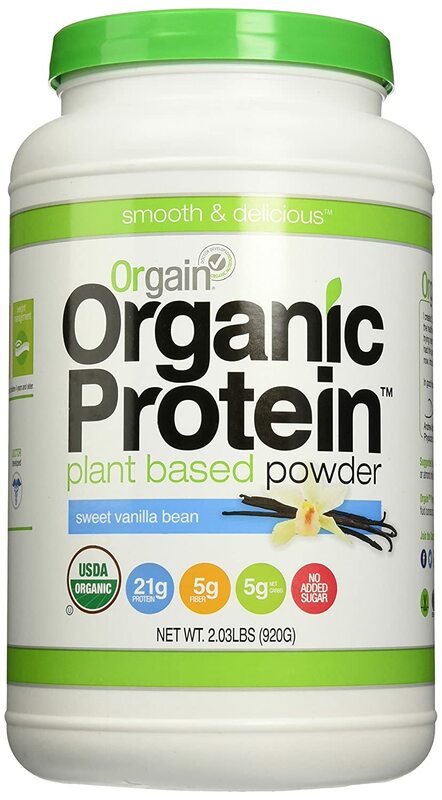 Most vegan and vegetarian protein powders are very healthy, but the fact that you can barely get them down is very disappointing, which makes Orgain stand out in its class from the competition. 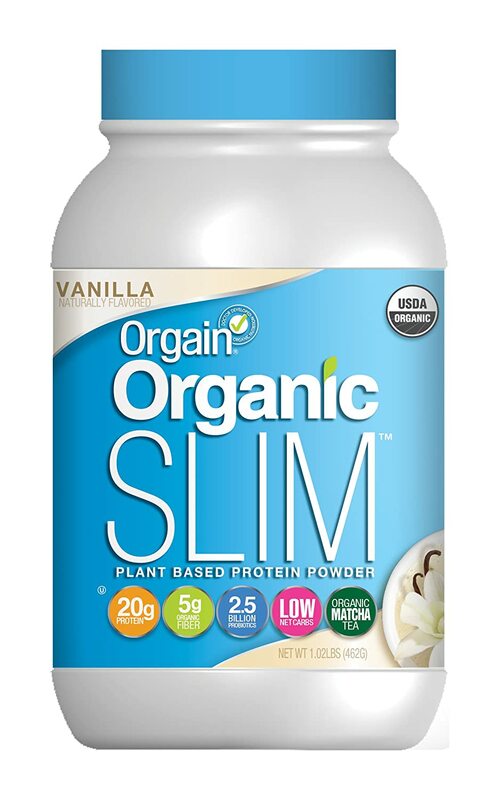 These plant-based 20 grams of protein shakes are also kosher, non-GMO, gluten, and soy free so that just about anyone with a specialized diet can consume Orgain. Aside from its organic protein source and awesome flavor, Orgain provides much more than just your typical protein shake. 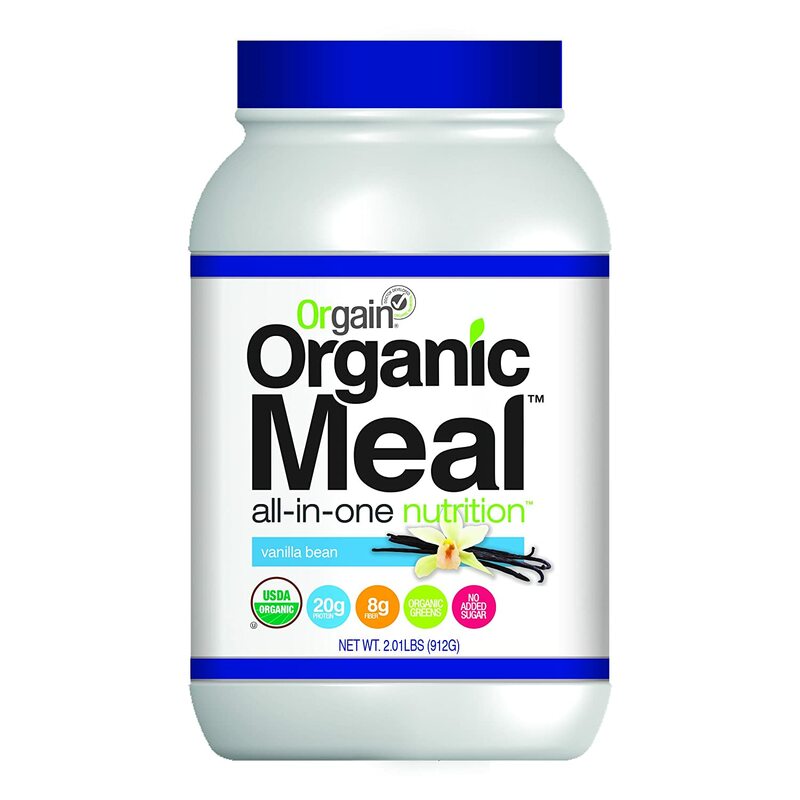 Orgain also includes a clinical dose of five grams of organic fiber, a huge variety of essential branch chain amino acids, and organic chia seeds. What isn’t inside are artificial sweeteners or heavy metals – and there are very few carbs and only one gram of sugar. So far this looks like the best organic plant based protein powder, right? Looking at this shake from a macronutrient perspective, with only 150 calories, three grams of carbs, one gram of sugar, and 21 grams of protein makes this protein powder perfect for those looking to lose weight or produce lean muscle mass. Using low carbohydrates and high proteins is a perfect formula for fat loss, while maintaining and building new muscle after workouts. This sort of shake would be perfect for after a workout to start protein synthesis, before breakfast to get a jump start on your macros, or before you go to sleep – which is when your body repairs itself the most. For such a great organic and nutritious shake, it will only cost about 22 dollars – which is just a little over a dollar per servings with 20 serving per container. 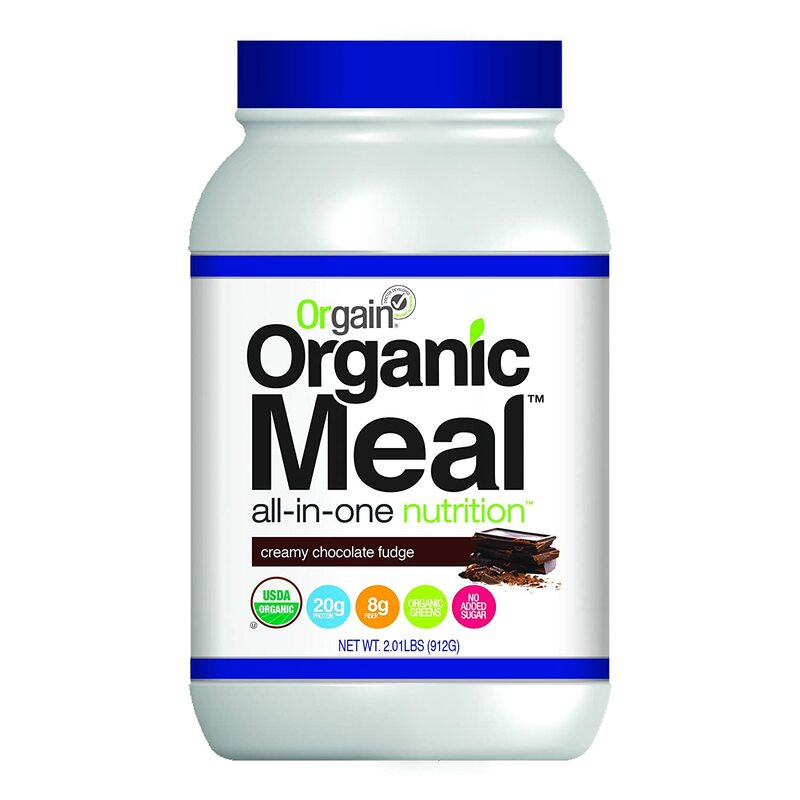 Most of the vegan mixed proteins that you see on the shelves are very overpriced for their value, and none of them taste half as good as Orgain. My name is Blanka and I have two boys, David and Francis. David is a lively preschooler eager to learn new things and explore and little Frankie is 2 years old and David´s mini me :-). They sure do help with the reviews, recipes and stuff. I love cooking, reading, hanging out on Instagram and Pinterest and planning what yummy stuff I should be cooking next :-).